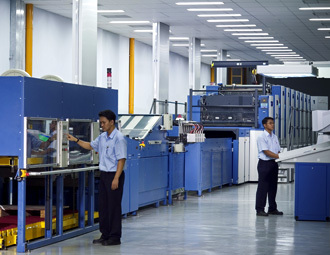 In response to a growing market and demand for high quality printing, UnitedCan has installed a new state-of-the-art metal decorating facility. Our installation incorporates the fastest multi-colour metal printing press in the world, capable of producing over 10,000 sheets an hour. Printing resolution is also significantly increased with the latest digital technology allowing direct transfer of the image from computer to printing plate. With an unprecedented level of automation, this line is designed to yield substantial efficiency gains that ultimately result in quick delivery times for our customers.